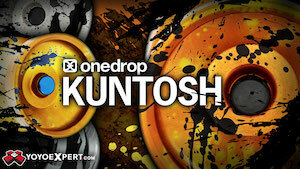 Paul Dang drops another quick video with the Rally, OneDrop’s popular new plastic yoyo. Dang is in top form here, although the absence of a Member’s Only jacket has us more than a little confused. This original lithograph Duncan YoYo poster from the 1930s was designed by French artist Raymond Gid and is being auctioned next month by Poster Connection with a starting bid of $6,400. It’s a beautiful illustration, and listed in “A-” condition, which is pretty incredible for something that is 80 years old. 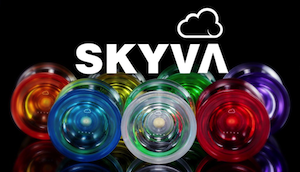 This is sure to be the gem of any yoyo collection, although it may be out of the price range of most collectors. Full details below…good luck! Description: Gid, Raymond 1905 – 2000. Lithograph 1930. Size: 31.4 x 23.6 in. (80 x 60 cm). Printer: Bedos & Cie., Paris. Condition Details: (A-) was folded horiz. (fold barely visible). YoYoExpert has released their clip video from the 2013 US National YoYo Contest, and it’s a great snapshot of the entire event. Featuring Ben Conde, Harold Owens III, Jason Lee, Ernest Kahn, Miguel Correa, Anthony Rojas, Paul Dang, Sebastian Brock, and US National YoYo Champion Gentry Stein. A yo-yo contest is an amazing place. The people it brings together, the mind-blowing display of skill, the new friendships created, and even the competitive rivalries. Contests are few and far between in the USA but if you can find one you are in for a truly great experience. Proud sponsors of the 2013 National Yo-Yo Contest, YoYoExpert, teamed up with the amazing Dennis Barahona to bring a bit of this years event to you at home. Get a feel of what it is like to be at a contest. What it means to the players. What it feels like to watch history in the making. Whether you are there to observe, learn, or just be part of what is pushing our sport into the future. We thank all of you who attend these events and urge more to keep an eye out for a contest near you. Nikita Efimov drops some absolutely beautiful tricks in this new video for Innovation Movement. We’re really looking forward to seeing what the Russian scene brings to Prague for the 2014 World YoYo Contest.